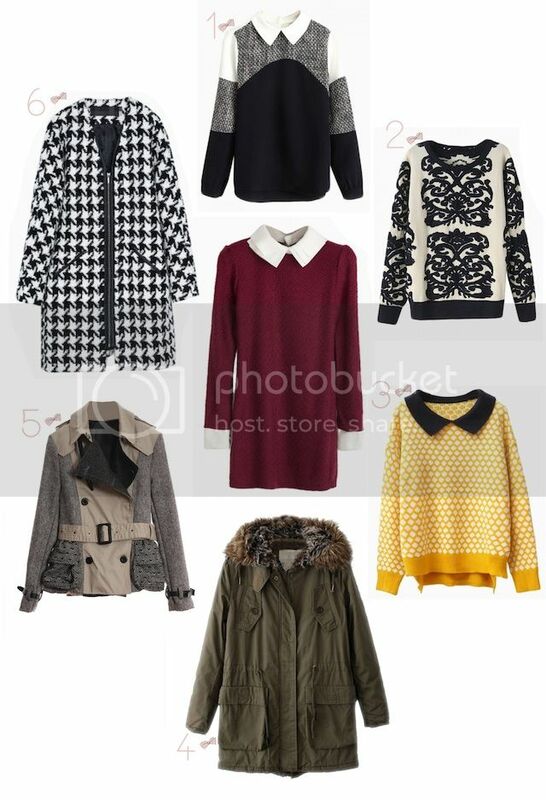 Fantastic Winter wishlist!!! <3 <3 <3 The army coat is my favorite. Wow.... I really love the "pied-de-poue" coat!!!! Kisses darling and happy WE! Beautiful selection doll great dress. It is also my wishlist! One and six for me! Very great selection, but i' m totally in love for coat number 6! love # 1, 5, and 6, and the red collar dress in the middle, you have some amazing picks here! I never have trouble holding back on coats hahaha! You've got a few keepers here, like the belted grey one and the fur trimmed parka! LOVE!